This article reviews how cognitive science supports volunteering bad facts and law in legal advocacy. Playing With Fire: The Science of Confronting Adverse Material in Legal Advocacy, 60 Rutgers L. Rev. 383 (Winter 2008). 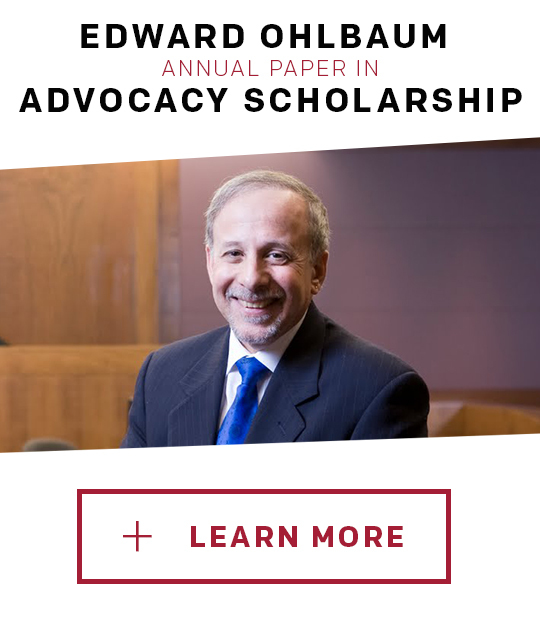 This offers a bibliography of scholarship on persuasion in legal advocacy. Persuasion: An Annotated Bibliography, 6 J. ALWD 75 (Fall 2009). This article reviews the persuasive value of using the science of priming in legal advocacy. The Power of Priming in Legal Advocacy: Using the Science of First Impressions to Persuade the Reader, 89 Ore. L. Rev. 305 (Fall 2010). This article explains the cognitive science showing that a reasonable tone in advocacy is more persuasive than aggression. What Cognitive Dissonance Tells Us About Tone in Persuasion, 22 J. Law. Pub. Policy 93 (2013). This article presents the results of empirical study showing complex and surprising effects of raising plaintiff’s prior conviction in civil trial. This piece examines some of the advocacy techniques used by then-Associate Justice Rehnquist to advance his preferred understanding of the Fourth Amendment. William Rehnquist's Judicial Craft: A Case Study, 60 Temple L. Q. 841 (1987). This article discusses how Supreme Court oral argument in a particular case influenced both the Court’s resolution of the case and Congress’s later use of it as a vehicle for major law reform. Arline’s Ghost: Some Notes on Working as a Major Life Activity under the ADA, 9 Temple Pol. & Civ. Rights L. Rev. 101 (2000).